Darklight | Adventures in a dark, demon infested world. 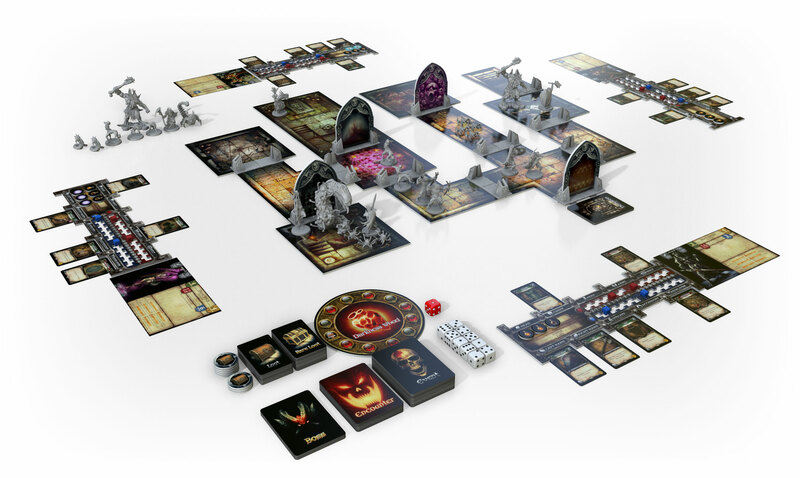 Darklight: Memento Mori is a dungeon crawler featuring cooperative and challenging gameplay for 1 to 4 players. 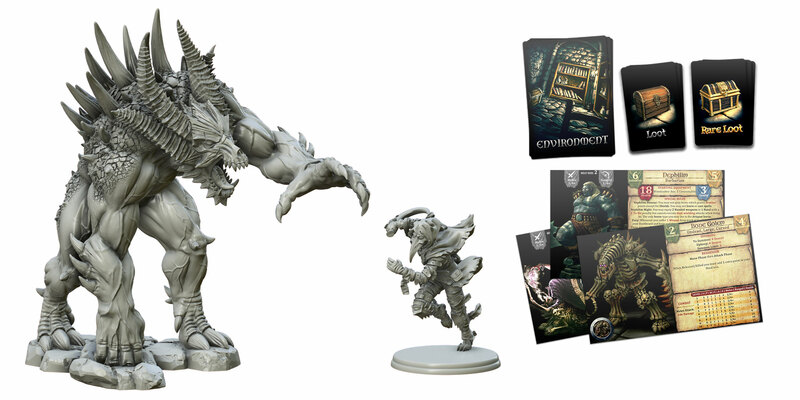 It includes over 80 plastic miniatures, 24 modular dungeon tiles (3mm thick), 300+ cards and much more, bringing countless hours of adventures. The game is being produced by one of the most renowned game manufacturers, Ludo Fact. The game is designed from scratch, and there are no elves, dwarves or any classic characters you might expect from a fantasy game. The setting is dark, brutal and theming with mature situations. From horrific to terrifying demons, you will encounter all manners of abominations during your journeys. You are an Accursed: an individual awoken from a deep slumber by the enigmatic figure of the Grim Warden and forced onto a path of misery and death. 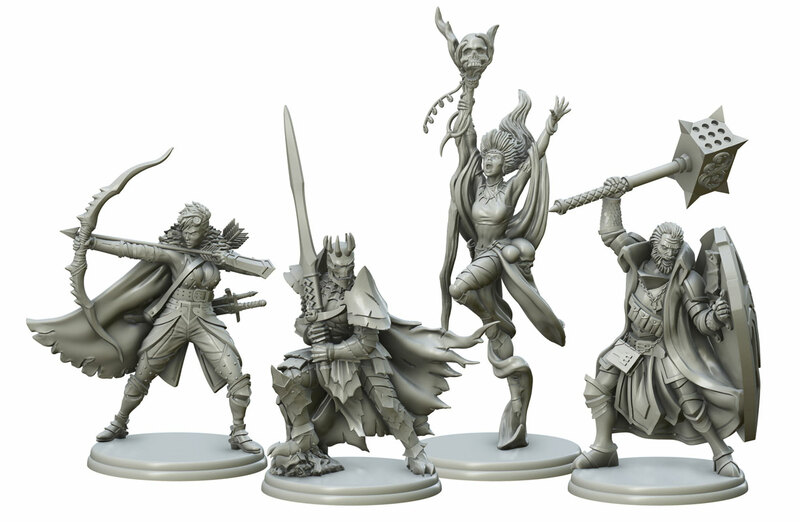 The core game features 4 Accursed for you to choose from: the Black Knight, the Exorcist, the Outcast and the Blood Witch, each with their own unique qualities and set of skills. Because the game features 24 modular Map Tiles, you will never play the same map twice! 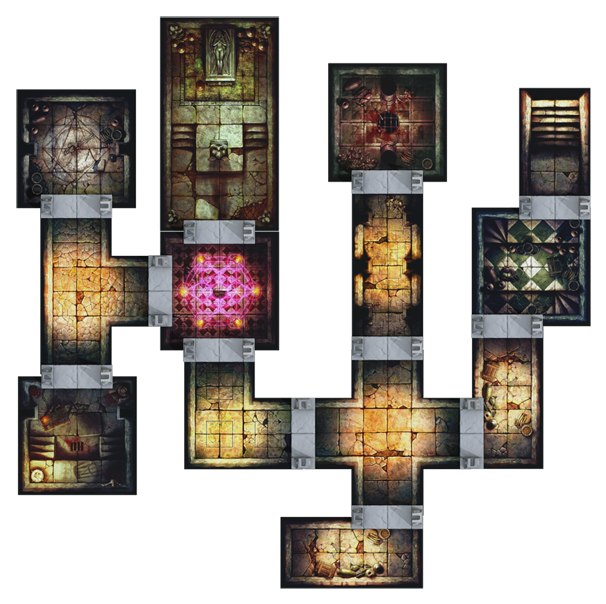 Each of the 36 random Quests has a series of values which will alter the layout and the size of the dungeon with unique rules and conditions. 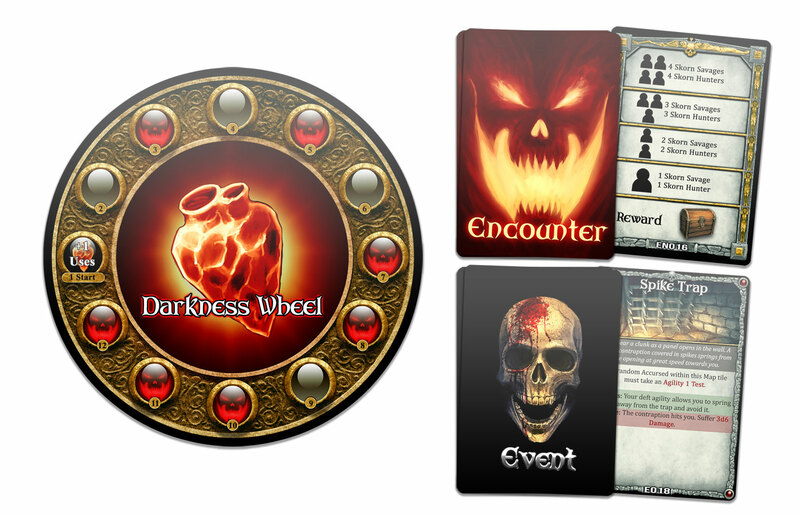 With the aid of the Darkness Wheel, the development of a quest can keep you on the edge of your seat by injecting unexpected events or monstrous encounters within an already deadly situation. 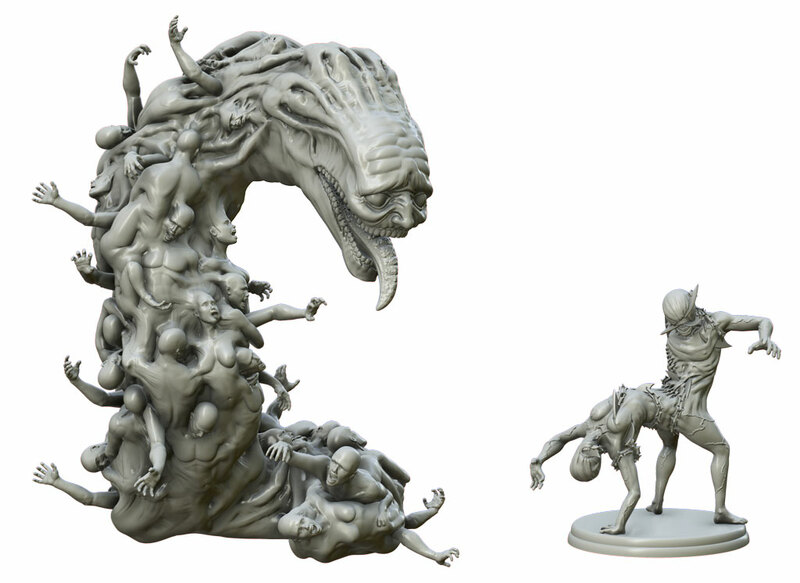 As well as standard monster Behaviours, some more unique ones like those of the Devourers are also tied to the dice result, which is placed over the Darkness Wheel each round. This makes some monsters unpredictable at each turn. The players have a beautifully illustrated Equipment Board, allowing them to tidily sort and manage their equipment, as well as easily keep track of Wounds, Insanity and Stamina. There is also an optional Reference Chart to guide players through the game's phases, and a unique double-sided Accursed Dashboard, featuring both male and female counterparts! Each Accursed starts with nearly useless scraps of equipment and can develop into a powerful champion, thanks to the immense amount of Loot and Rare Loot cards found during their adventure. More equipment can be purchased at the Marketplace, which can also be personalised and improved by the Blacksmith when playing with the Advanced Rules. There is a rich and flexible character development at your disposal. An Accursed can progress up to Level 10, and at each level has the choice to add one of the 20 available Skill Cards to their Class. Each Accursed Class plays differently and has very unique perks. We also have some expansions you can add to your gruesome, dark collection, including new Monsters, Cards and Accursed. Make sure you check our Expansions page for more details!